This selection of high quality oversized big Man recliners are among my top recommendations for the larger person. I love these big Man’s recliners because they are over-sized in not just size, but also comfort and high weight capacities. So before you go to buy just any oversized recliner, be 100% sure the manufacturer has stated a weight limit. Otherwise you could be just throwing your hard earned money away on possibly an inferior recliner chair, and I don’t want that to happen to anyone. So we have sourced out some of our favorite heavy duty recliner chairs available to buy online. These recliners are suitable to cater the bigger Man’s needs, which are sometimes more critical then the average sized person. Everything from, height from ground to automated raise and lift systems are an option for the extremely bigger guys and gals just to be able to get in and out of the recliner chair. So with the Big Man’s reclining needs taken into full account, we are pleased to unveil our results for the best rated oversized big Man recliners. These are based on our opinions and should be seen as that way also, they are not an official listing. 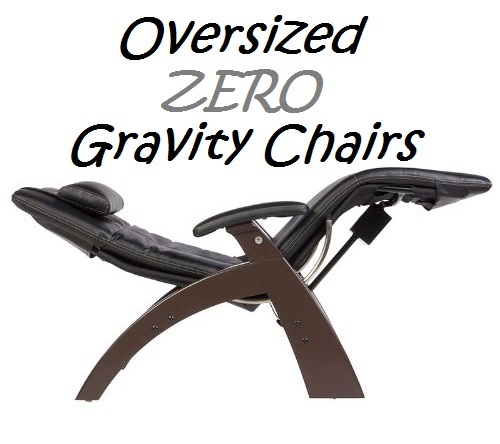 2 Want More Reviews On 500 Lbs Capacity Recliners? 5 View More Heavy Duty Recliners Here! The widest power lift chair I know has to belong to Mega Motion, whom are a company of Windermere. This recliner has a huge weight capacity of 500 pounds and has such a wide seating area. The measurements between the arms/seat width comes in at an impressive 27 inches while the overall width from arm to arm is 39.5″. Whats really helpful in regards to big Men, is this chair’s ability to raise and recline. Buy pushing a button on the ergonomically shaped remote, you can easily raise the recliner to standing position. Then simple sit back into the chair and with another push of the button, softly and slowly recline back into one of 3 relaxing positions. Including full recline. The only negative to the Mega Motion recliner is that it maybe a tad bit expensive for some folks. 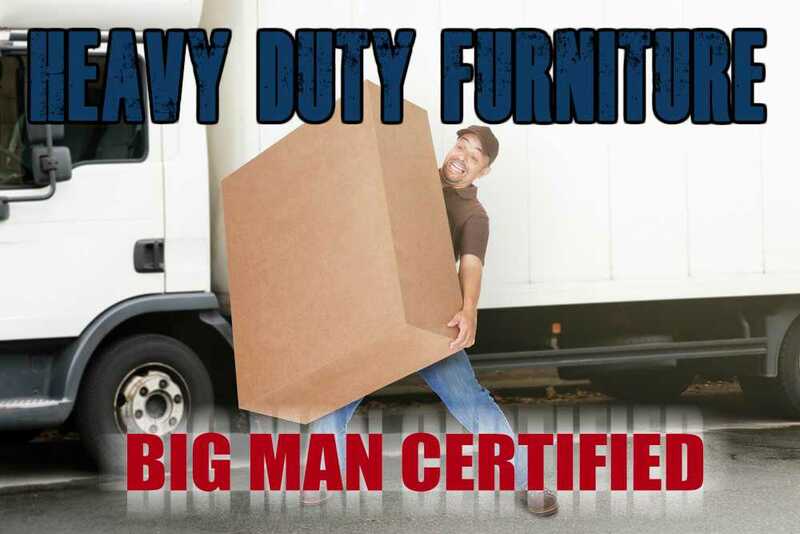 But in saying this, I don’t believe in compromising high quality heavy duty materials when it comes to furniture and chairs for us bigger guys. A less expensive chair with the capabilities of this chair may not survive the duration you would expect from an oversized Big Man’s recliner. If you can afford to spend a few extra bucks, then I highly recommend you consider this 500 lbs recliner chair. Want More Reviews On 500 Lbs Capacity Recliners? Catnapper have produced some of the most comfortable recliners I’ve known. This 450 pound capacity recliner is a beast to me. I see it being a popular choice among the big person community and a decently priced recliner. The padding and shape of the seating area is well thought out and could ease some of the lower back pain for us larger guys carrying around extra weight. The overall width of the Omni Power is slightly thinner then the power lift by Mega Motion. It measures 45 inches from arm to arm which is still much wider then the ordinary recliner chairs I’ve sat in. Much like the Mega Motion, this Catnapper also comes with the power lift. The wand or remote control if you will, is attached by a cord and connected to the chair itself. Which I think is a awesome idea because you shouldn’t have to bend out of shape wasting time trying to find the remote. If only TV controls were the same. Another cool feature of this particular Catnapper recliner, is the battery back up system. Which is quite necessary for the really large people in my opinion. I couldn’t imagine trying to break my back pulling myself up if all of a sudden if I lost power. Fortunately the back up power should kick in and all should be good again. This chair is in my best Big Man’s Reclining chairs list, that I know for sure. *The Catnapper can also come in other colors. While this model by Flash Furniture is a common recliner I see around the place, I’m still not convinced on it’s total weight capacity so this chair may be best to deal directly with the store/manufacturer. However, with a height of 20″ from the ground and a seat size of 23 x 23 inches I can see why this recliner may be appealing to the larger community. It appears fairly well cushioned with big padded bonded leather arm rests. Reclining in this chair is straightforward like most recliners and works rather well. But it also acts as a rocking recliner, so in the straightforward sitting position you can gentle rock yourself into relaxation. Great additional feature. Overall if you cant afford a high end big Man’s chair, I would take a look at this oversized Flash Furniture as an option. It’s priced adequately, and looks to be made from rather heavy duty materials. 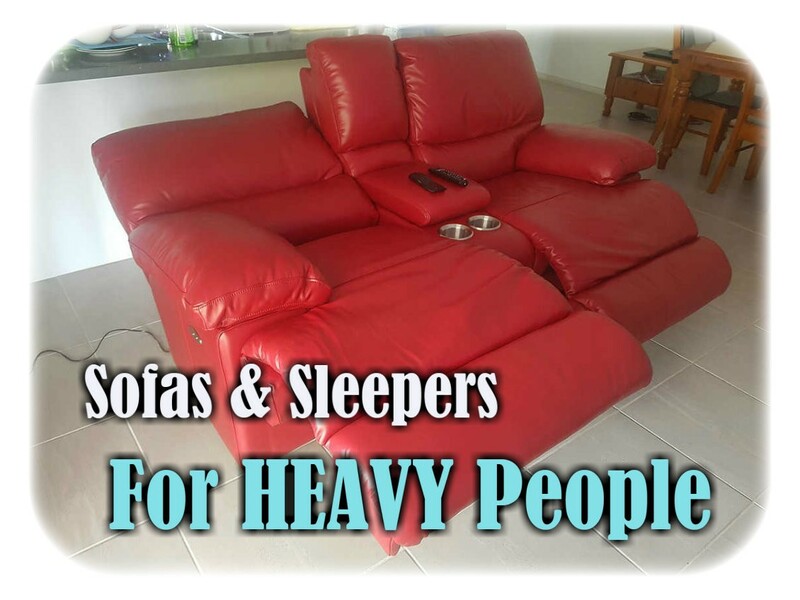 View More Heavy Duty Recliners Here! This short video shows how to clean your upholstered recliners. Next post Heavy Duty Bunk Beds For Heavy People – Are They Really Safe?